Today, there is a great array of waters available to consumers – from natural mineral water to spring and table water. A majority of countries have regulations, guidelines, and standards that determine how the water is sourced and how they should be labeled, bottled, and treated. 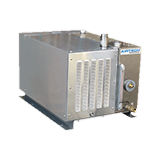 At Airtech Vacuum Incorporated, we carry a comprehensive range of pumps and vacuum systems that are designed to provide superior performance for a wide array of applications, including the deaeration of mineral water. Mineral water sourced from natural springs often contains iron, carbonic acid, and other minute minerals. Iron dissolved in the water tends to oxidize when it comes into contact with the air. This leaves a very unpleasant taste in the water. To fix these issues, there two solutions to consider: remove the iron from the water at approximately 28.5″ HgV OR deferrize the water at a pressure of about 50 mbar. These processes usually require the use of a quality vacuum pump; it removes the carbonation and subsequently reintroduces it to produce sparkling water. Why Choose Airtech Vacuum Incorporated For Mineral Water? Airtech Vacuum Incorporated is not just another distributor. 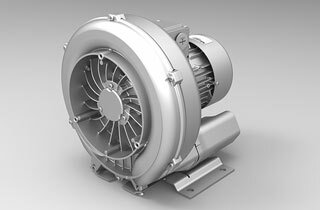 We are a full line manufacturer of a wide range of vacuum and pressure technologies, including regenerative blowers, vacuum pumps, and more. Our company is ISO9001-2008, UL-, CE-, RoHS-, and CSA-certified. You can always purchase stellar products from us while enjoying complete peace of mind. You can be sure that our products offer superior, reliable performance cycle after cycle. Whether you are looking for a vacuum pump that has extra water handling ability or high vacuum capability, we can help. Airtech supports our clients by helping them realize durable and economical solutions! Apart from having an extensive line of ready to ship products, we have also been providing cost-effective, custom engineering and design solutions for vacuum and pressure products. Our team can build products according to your company’s unique needs. We understand that every industry has its own set of challenges, and that’s why we do not offer cookie-cutter solutions. We strive to offer precise solutions that help you deal with those challenges head-on. When you shop at Airtech, you are guaranteed a safe and pleasant shopping experience. Your personal and purchase data are in safe hands at all times. What’s more, our friendly representatives are always ready to answer any product questions you have in mind. Start looking through our inventory for top of the line mineral water vacuum pumps and blowers today and shop with confidence.